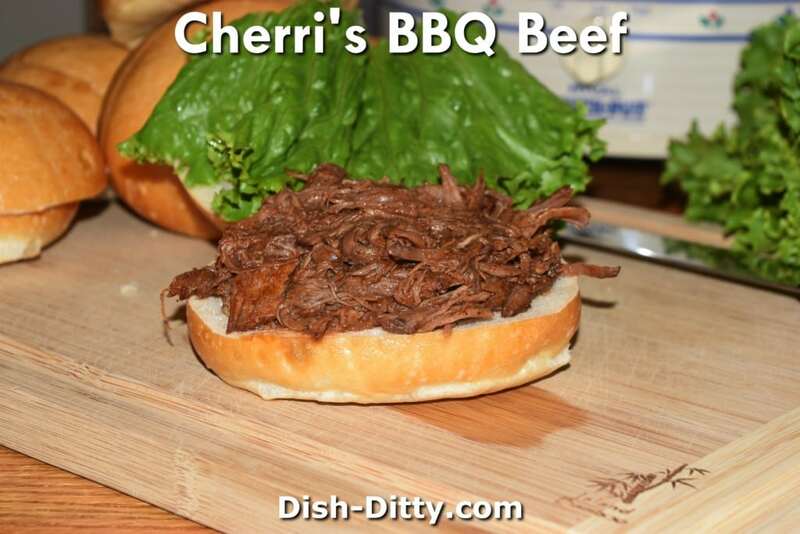 This is a wonderful way to make shredded beef… in or out of the crockpot. 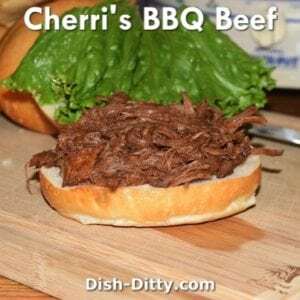 Here is both my mom’s original oven recipe and my adapted crockpot recipe for BBQ Shredded Beef. I found this in the family cookbook with my mom as the author, so I decided to make it and see how the family liked it. My son had two full BBQ Beef sandwiches and then next morning had one for breakfast… so does that tell you how it was received? 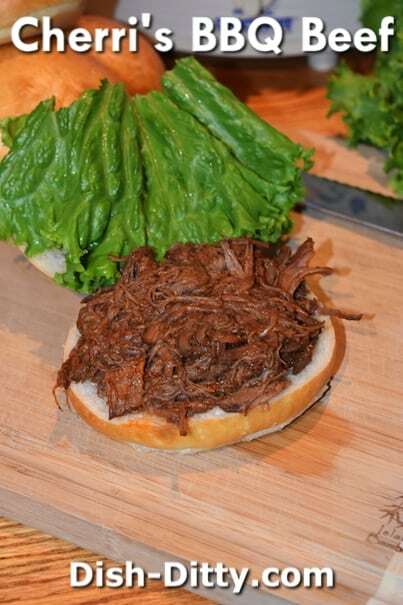 The beef takes a while to cook to the point where it can be shredded, so using the crockpot is a great way to just set it and forget it. There is two steps, so be sure to give yourself time to let the sauce cook into the meat before serving. When reading the recipe, it seemed like it was going to be really soupy, like really really soupy. My mom was not known for her measuring skills, so I took a stab and rewrote it to match what would be useful in a crockpot and, using most of the same ingredients, figuring out how to adjust the level of liquid to give the consistency I would expect. So, take a gander at my recipe (pictured) and then read through my mom’s recipe. I have a feeling there can be many interpretations on this. If making for a party, I'd suggest 2 chuck roasts. You will likely need to increase the cooking time. Modified from my mom's Barbecued Beef recipe. Salt & pepper the beef. Place in crockpot with garlic, onions, bell pepper, celery and water. Cover and cook on low for 8 hours or high for 4 hours. Beef will be done when you can shred it easily using two forks. Remove everything from the crockpot, straining the liquid. Shred the beef and add it to the crockpot. Add 1 cup of the strained liquid with the remaining ingredients. Stir to combine. Cook for 1 hour on low, or keep on low until you are ready to serve. Place roast and vegetables in a pan; cover with water and cook slowly for 4 hours. Remove the meat, cool and shred. Return the meat to 3 cups of broth; add remaining ingredients. Slowly simmer uncovered for 1 hour. Additional broth may be added if needed. When done mixture should be of spreading consistency. No Replies to "Cherri's Crockpot BBQ Beef Recipe"